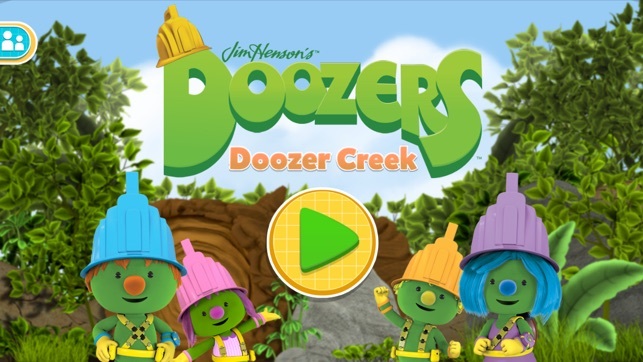 Make your very own version of Doozer Creek! 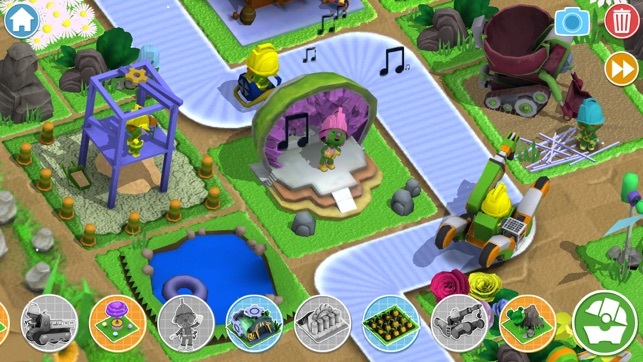 Players place characters, vehicles, buildings and other elements from Doozer Creek on a blank play mat, and then watch the world come to life! Watch the Doozers work, play, sing, drive and more! - 7 play pieces free to try with additional playsets available for purchase. 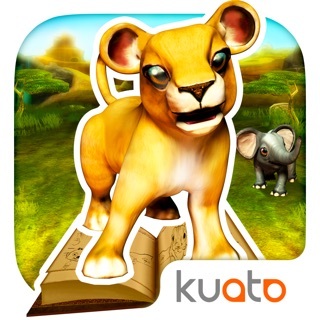 - Designed to let your child play at their own pace. - This play experience provides an introduction to a systems thinking curriculum, where the player can examine the linkages and interactions between the elements that compose the entirety of the system. 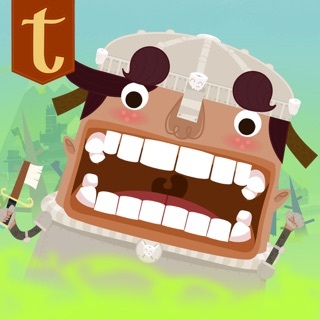 - Delightful and surprising animations as the characters interact with the various scenes and objects. 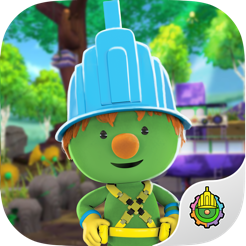 Doozers are DOERS – they put their ideas into action! 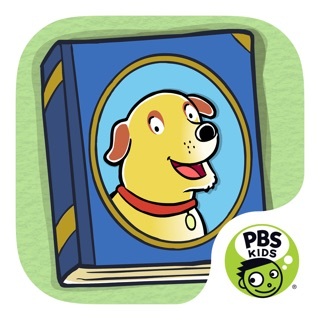 Doozers focuses on four little Doozers, a group of best buds who play together and share a love of inventing. Dubbed ‘the Pod Squad,’ Spike, Molly Bolt, Flex, and Daisy Wheel bounce from one fabulous adventure to the next engaging in exciting projects and having a blast playing together. Doozers know being a kid is a big job. Playing is how Doozer kids (and adults!) practice imagination, communication, ingenuity and problem solving. 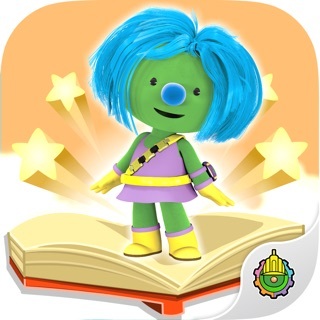 The educational mission for Doozers is to inspire preschoolers’ inventive nature through play. DHX Media (www.dhxmedia.com) is a leader in the creation, production and licensing of family entertainment rights. DHX Media owns, markets and distributes 9,500 half hours of children's entertainment content, and exploits owned properties through its consumer products licensing business. DHX Media is recognized for brands such as Yo Gabba Gabba!, Caillou, Teletubbies, In the Night Garden, Inspector Gadget, Johnny Test and Super WHY!. DHX Media has offices in Halifax, Toronto, Los Angeles, Vancouver, London, Paris, Barcelona, Milan, Munich and Amsterdam and is listed on the Toronto Stock Exchange. Doozer Creek is a hit! 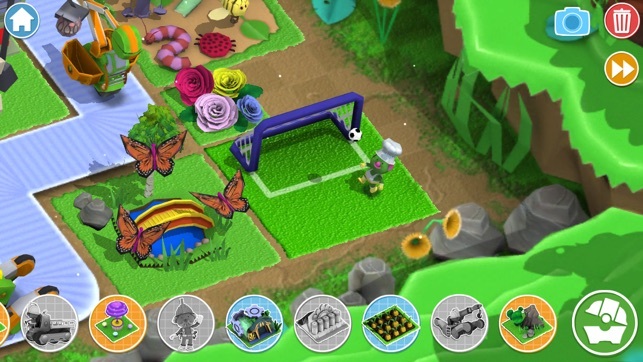 To show our appreciation we've updated the app with a whole new playset for FREE! Also included is an array of bug fixes and performance updates. Will there be an update to make this app work again? I downloaded this assuming it would be based around some kind of complex economy system, but no. All it consists of is dragging buildings and men into a small area. No meaningful goals or challenges and overly simplistic. I think this is made for children. The quality of this game is apparent right from the main menu where the 'about' screen can't even spell 'from' properly and instead says 'form'. This really can't even be called a game as there isn't much to do. 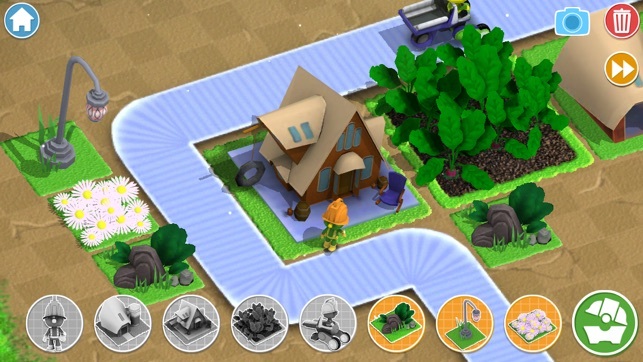 You place buildings and Doozer people on a small map and then watch them interact with the world...that is it. The buildings cost nothing to place and you only get a few of them. If you want more, you have to pay real world money for something that does little but look pretty. Unfortunately, there are no objectives, risks, rewards or unlockables for anything that you do. Even a 5 year old will lose interest quickly. The fact that they have so many in-app purchases and make them so easy to buy seems evil for a game that is marketed towards toddlers. It would be easy for a kid to accidentally run up their parents credit card in a matter of seconds. 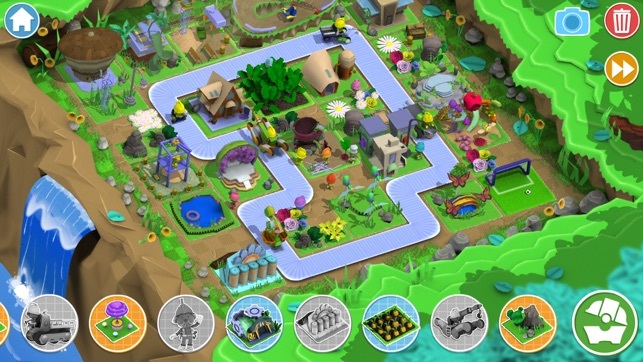 Unlike most kids games, there is no way to disable in-app purchases. This 'game' is not edutainment as it states...it's a cash ploy.